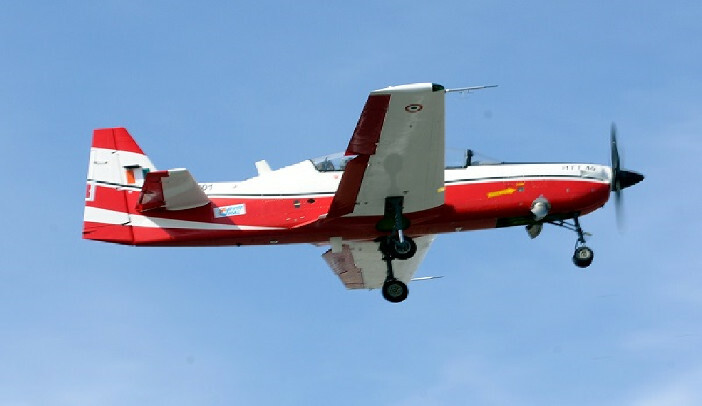 Hindustan Aeronautics has started the spin testing of its HTT 40 basic trainer aircraft with the successful execution of two turn spins and their recoveries. The spin testing is being conducted by two test pilots, Group Captain (Retired) KK Venugopal, in the cockpit and Group Captain S Chaki, in the rear and started on November 9. Stall testing on the HTT 40 has already been completed. The HTT 40 has a top speed of 400km/h (249mph), a range of 1,000km (621 miles) and a ceiling of 6,000 m (20,000 ft). The Indian Air Force is to buy 70 HTT 40s from HAL. HAL’s Aircraft Research and Design Centre (ARDC) had also conducted wind tunnel testing and mathematical model analyses to arrive at the spin characteristics of the aircraft. The results of these studies are being validated with the spin testing. Chatterjee added that the HTT 40 is exceeding its PSQR on most fronts. Permission to start production of the HTT 40 is expected to be granted by the end of this year.